The Washington Post would say that “Democracy Dies in Darkness.” Others–in house, in congress, in forum–would beg to differ. 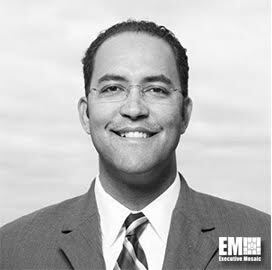 Congressman Will Hurd (R-), who represents the 23rd District of Texas, aims to repaint the administration-landscape, in the hopes that the bipartisan issues standing on the steps of Capitol Hill are moving up the staircase. In 2015, Hurd was elected to the 114th Congress and currently serves on the Committee of Oversight and Government Reforms and chairs the Information Technology Subcommittee. He also sits on the Committee on Homeland Security and is the vice chair of the Border and Maritime Security Subcommittee. On a daily basis, Hurd has the harmonization of cyber norms and data protection regulation on his mind. “I’m worried that we don’t want to stall some of the progress that we’ve achieved over the last couple of years,” he said at the Washington Post Cybersecurity Summit on Tuesday. Within the early stages of President Donald Trump’s administration, a solid number of agencies have acting CIOs, leaders in making strategic decisions about how to modernize legacy systems. Even without the working capital funds to reinvest in modernizing legacy IT, this process is easier said then done, apparently. The expansion of technology capabilities are in-bloom, making it difficult for Congress to keep stride with rules and regulations. However, this former CIA operative and cybersecurity professional possesses an exuded brilliance and due diligence that is formidable in the inner workings of the legislative branch–even as a moderate in his second term on the Hill. In an interview with NPR on ‘Trump and Congress’ Hurd is hopeful about the future of tax reform, among other outstanding issues, but not so much the minds making those decisions. From IT modernization to making the grade in the era of a Trumpist regime, the Congressman from San Antonio, TX projects certainty and confidence on defeating doubt, the importance of dynamic bipartisanship and how to approach the long period of convalescence that is forming hurricane-sized challenges for government reform.